Apple’s iOS 9.1 not only includes some new improvements and fixes, but also brought a bunch of new emojis, however, As Apple had stopped signing iOS 9.0.2 last week, and the jailbreak currently does not work in iOS 9.1, so jailbreakers can only get these new things of iOS 9.1 through installing cydia tweaks on their jailbroken device. New emojis in iOS 9.1 includes the middle finger emoji, taco emoji, unicorn emoji etc., which are very interesting to those emojis fans, so if you are one of them, and want to get these new emojis on your jailbroken device, then below is a perfect and simple solution for you. Again, your device must been jailbroken on iOS 9.0 – 9.0.2 using Pangu and installed Cydia installer. Step 1: Then launch the Cydia Store on the Home Screen. Step 2: Add ‘http://poomsmart.github.io/repo’ to cydia sources. Tap on the ‘Manage’ button located at fourth position in the bar below. On the ‘Manage’ screen you will see a menu with links to Packages, Sources and Storage. Tap on Sources. This is where you can add a repo in Cydia. Now on the Sources screen click on the ‘Edit’ button located on top right side of your screen. Next you need to click on the ‘Add’ button. 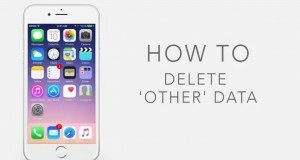 From here you can also delete a repo which has already been added if you want to. Now Cydia will ask you to Enter Cydia/APT URL. You need to enter the URL of the repo you are trying to add exactly as it is. Once you have written the address of the repo you are trying to add tap on ‘Add Source’ button. Now Cydia will verify the URL you have entered. Once the address has been verified Cydia will warn you about the repo. It doesn’t warn users about all the repos but if it does then tap on ‘Add Anyway’ button to proceed. 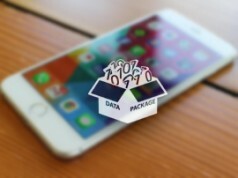 Now Cydia will download data from the source you have just added. This will take a few seconds. Done! That’s how you add a repo in Cydia. Step 3: Once the repo has been added and you have refreshed your sources, search for ‘Emoji83+‘ and install this package. Step 4: Then Open Cydia again and search for ‘Emoji iOS 9.1 Backup (D)‘ and install it. This package will also install the Bytafont 2 app on your device. Step 5: Lastly, open the Bytafont 2 app and tap on ‘Swap Mode‘ button, on this page look for ‘Emoji’ option and tap on it. From the next page select ‘EmOji_iOS 9.1‘ option and respring the device. That’s it! 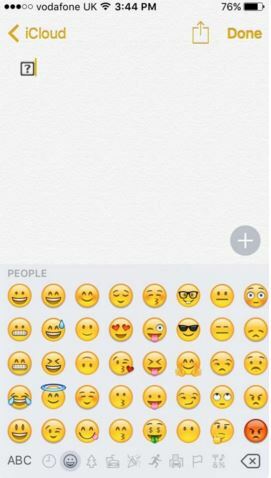 Now you can directly send new iOS 9.1 emojis in Messages from the default Emoji keyboard.